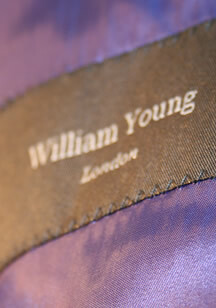 As a William Young client you will enjoy an initial consultation with your personal tailoring advisor. 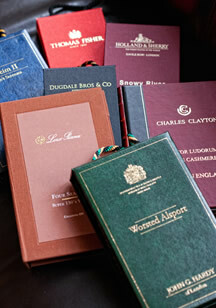 We create genuinely individual pieces from a choice of over 4,000 fabric options, linings and other touches. We provide expert guidance to ensure you create clothing that not only looks good but performs well. Detailed measurements together with excellent observation of client figuration enable us to advise you on a style that suits your shape, personality and lifestyle. We know that suits are worn for different purposes and will ensure that you choose a fabric that will meet your requirements. Following the initial consultation we will arrange a second fitting which will be held five to six weeks later, allowing your advisor to discuss alterations and finishing touches that will ensure a perfect fit. We believe in providing a service that fits into your lifestyle providing evening and weekend appointments at our Berkhamsted showroom or in the comfort of your own home. Our unique design tool enables you to visualise what you are creating and discuss the many varied design, fabric, lining and detailing options. 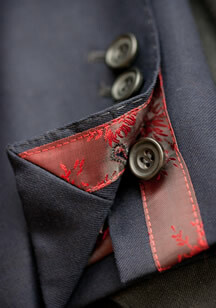 We offer three grades of tailored suit: fused, half canvas and full canvas. 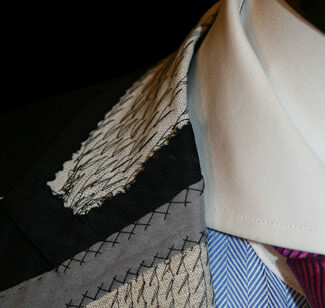 All of our suits start with pattern creation retained for all future orders. It is simple to book appointments and consultations easily through our online booking system, email or via telephone.